It’s summertime, and the sippin’ is easy when you’ve got a spiked citrusy beverage in your hand. 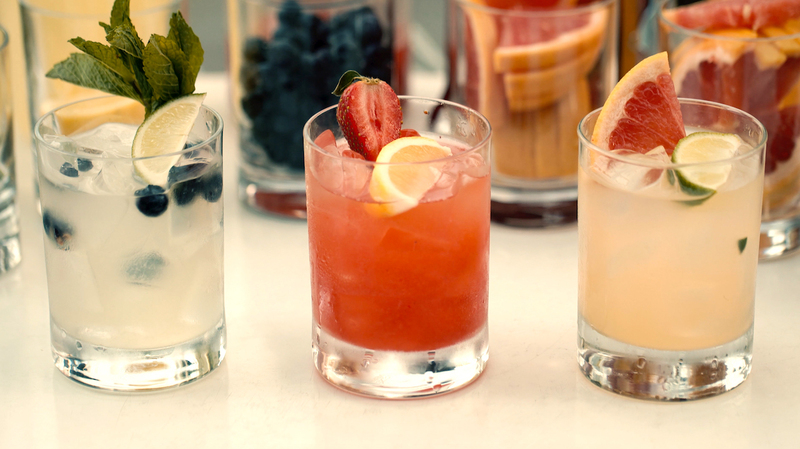 Check out these boozy lemonades to help you beat the heat this season. 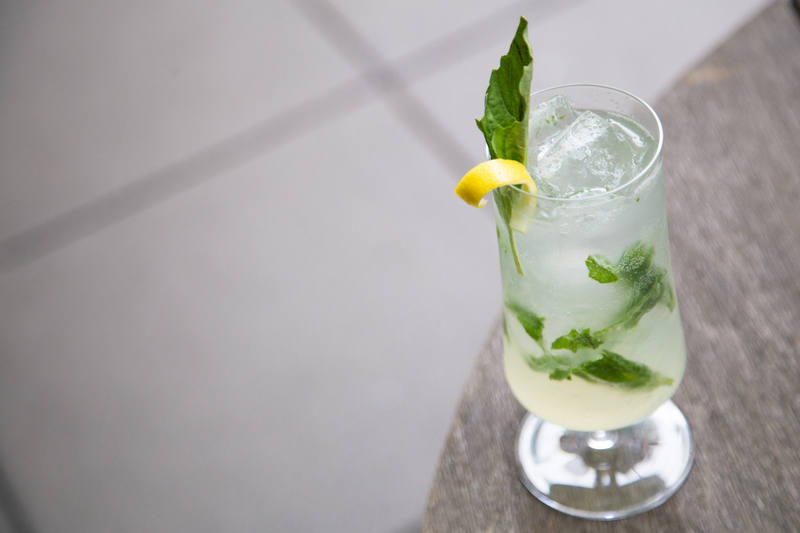 The housemade hard lemonade might remind you of high school parties in the best way possible. Vodka powered, it features a burst of bubbles, thanks to some soda. Bonus: you don’t run the risk of getting busted by your parents while you drink it. Make a reservation at Moxie’s Grill & Bar. The Queen B may be simple, but it’s oh-so-satisfying on a hot summer’s day. Sweetened with honey, the lemonade gets its buzz from plenty of vodka. A touch of fresh basil adds an herbaceous accent. Make a reservation at Charlie Palmer Steak. When you want all the lemonades. There are three options: strawberry-rhubarb with vodka, rum- powered blueberry, and tequila accented by lots of grapefruit. Order one of each (and order a car service to make sure you get home safely). Make a reservation at Ambar. You could call this a G&L. Gin is mixed with lemonade and club soda to create an effervescent refresher. 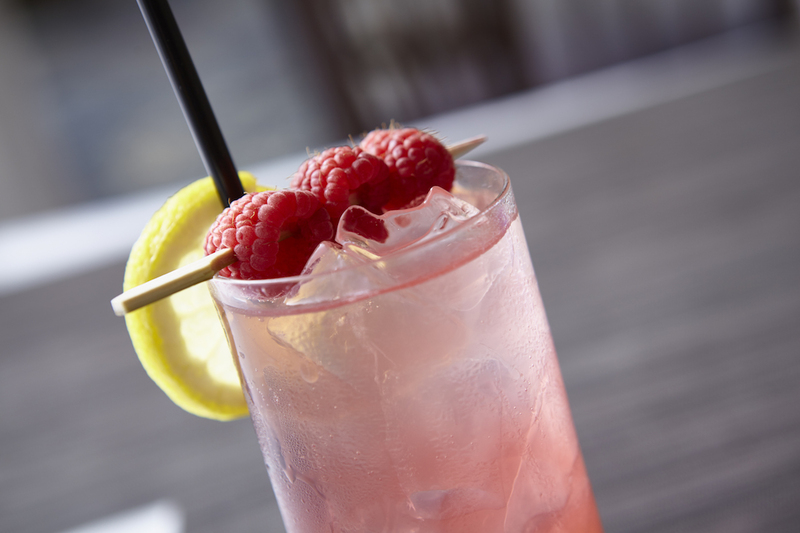 The pink potable is garnished with a trio of raspberries. Make a reservation at Oceana. Ascend to Upstairs at Caroline to access La Limonada. The breezy bevvie is braced with vodka and limoncello. A cayenne candy stir stick adds a hit of heat. Make a reservation at Caroline. The Bee’s Knees is a tart sweetheart. 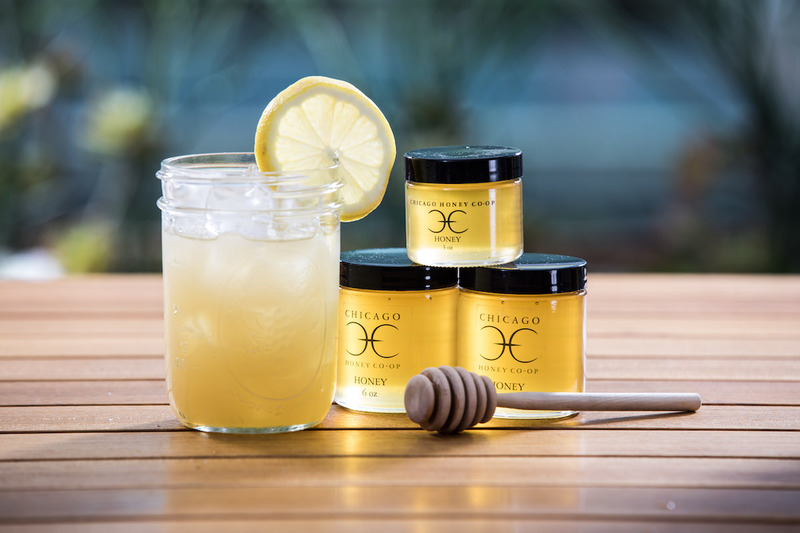 Gin gives this ‘ade a boozy boost, while locally sourced honey from the Chicago Honey Co-op sweetens the deal. Just what you need when the mercury spikes. Make a reservation at Streeterville Social. 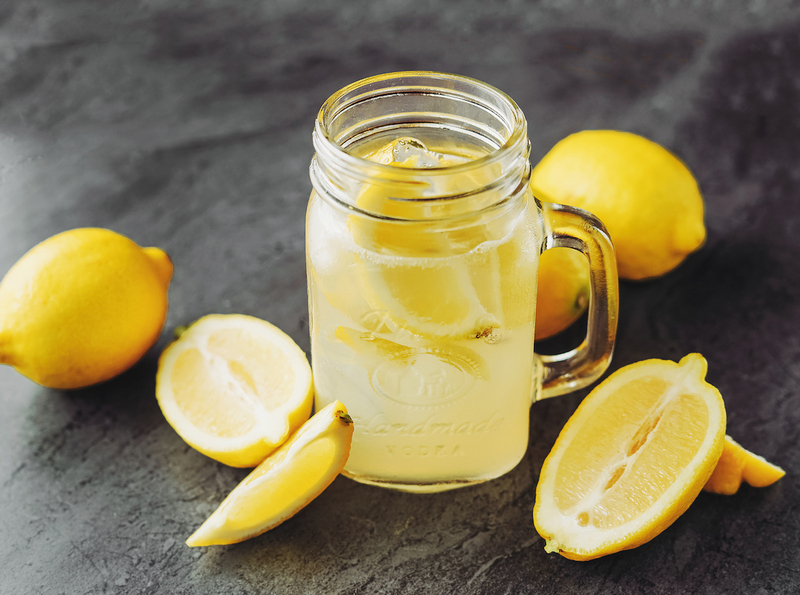 This loaded lemonade features citrus to the third power. Patron Citronge, fresh lemon juice, and lemonade are all in the mix. Plus, there’s more than a little vodka involved. Make a reservation at Mastro’s Steakhouse. POV at the W Hotel, Washington, D.C. 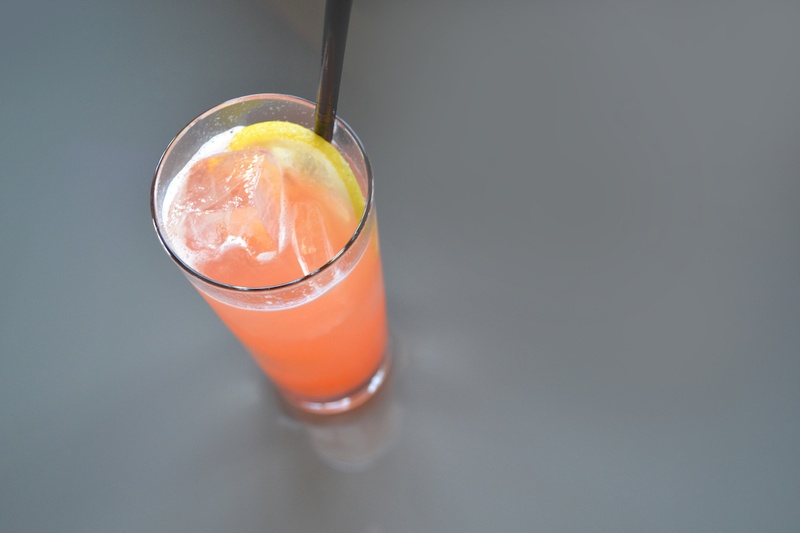 Lemonade gets a colorful lift from crushed strawberries along with a bunch of Absolut Elyx vodka. 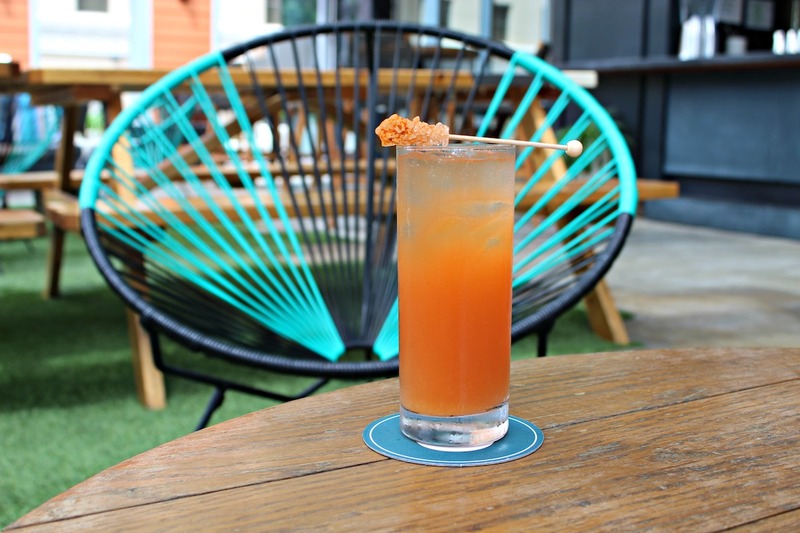 The perfect sip to enjoy at this rooftop pool. Make a reservation at POV at the W Hotel. Feeling bushed by the heat? 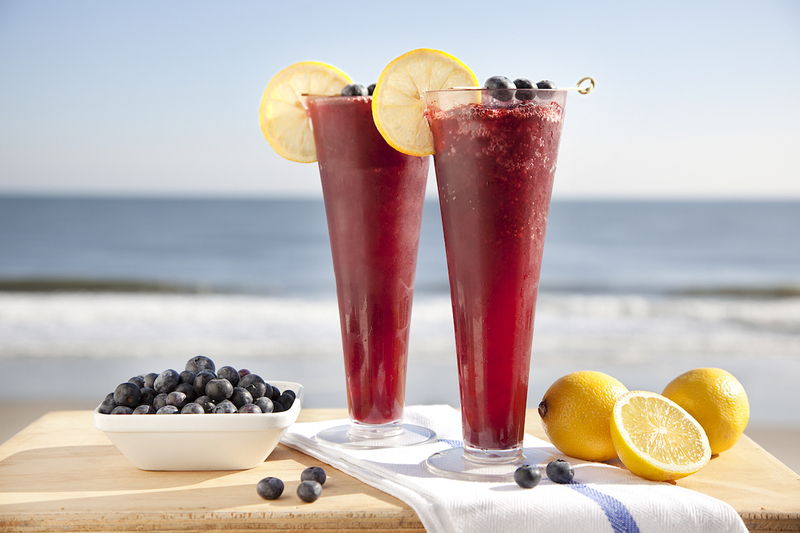 Pick up one of these blueberry lemonades. 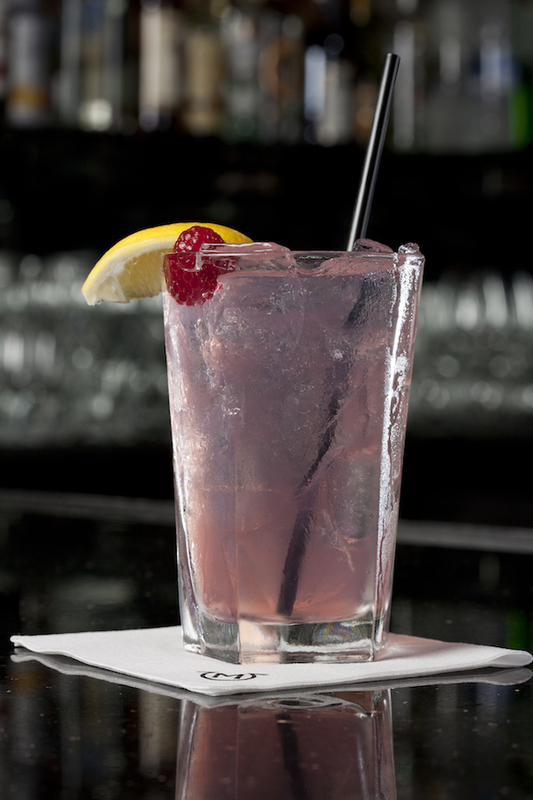 Made with lemon vodka, blueberry puree, lemon juice, and simple syrup, it’s perfect for summertime sippin’. Make a reservation at Avenue. The Salt Line, Washington, D.C. This is the soused slushy your summer needs. 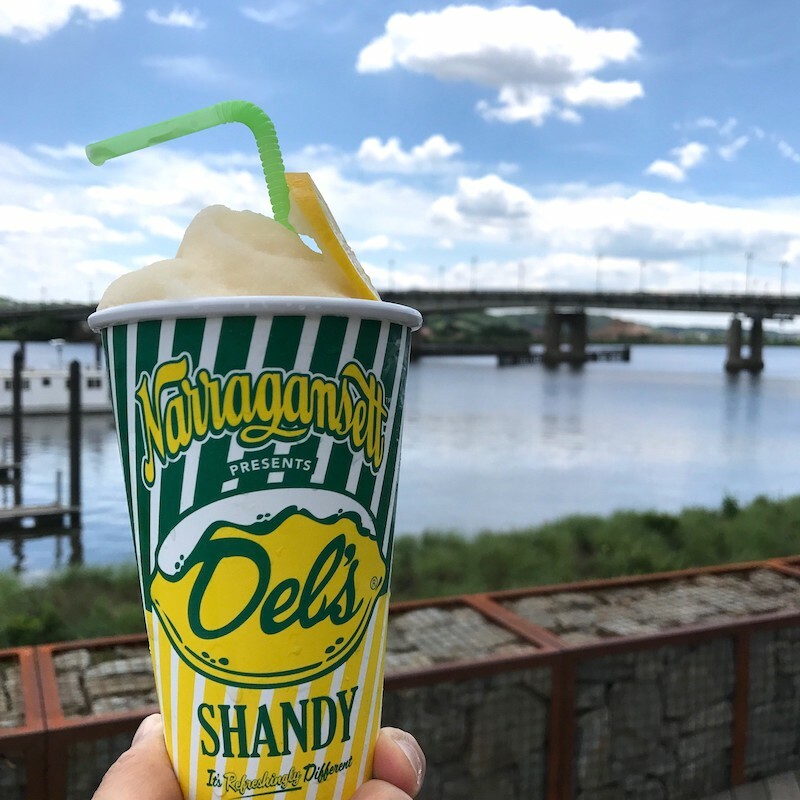 The icy slurry features vodka and Del’s Shandy beer from Narragansett. It’s topped off with a splash of cherry liqueur. Make a reservation at the Salt Line. Have you been enjoying boozy lemonades this season? Let us know where in the comments or over on Facebook, G+, Instagram, Pinterest, or Twitter. And, remember to snap + share your #dishpics with us on Instagram for a chance to win in our weekly giveaway. Photo credits: Joy Zhang (Moxie’s).